Before obtaining her J.D. from Seattle University School of Law, attorney Maria Stirbis was a pre-law major at Washington State University. 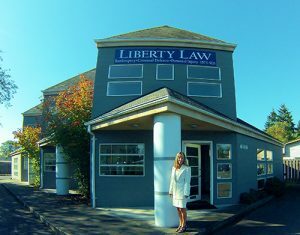 In addition to her experience as a deputy prosecuting attorney for the Pierce County Prosecutor’s Office — during which time she participated in more than 100 jury trials related to the felony drug unit — Maria has devoted the last 20 years to helping Lakewood families navigate the complex world of bankruptcy and personal injury law. Throughout her career, Maria has negotiated misdemeanor and felony cases; tried new deputy prosecutors; written a training manual for new misdemeanor prosecuting attorneys; argued cases before appellate judges; and tried complex meth lab jury trials. If you or someone you love is currently grappling with a contentious issue involving Chapter 7 bankruptcy, Chapter 13 bankruptcy or an auto accident and/or wrongful death suit, contact attorney Maria Stirbis today. Maria cares deeply about criminal justice and assisting Pierce County families move forward after bankruptcy. When she’s not working tirelessly on behalf of her clients, Maria can be found writing, skiing, kayaking, teaching dance classes, studying calligraphy and spending time with her daughters. Attorney Maria Stirbis has dedicated her professional career to helping Lakewood and Pierce County clients move forward from cases involving bankruptcy and personal injury. Schedule your free consultation with Liberty Law LLC today by calling (253) 573-9111.